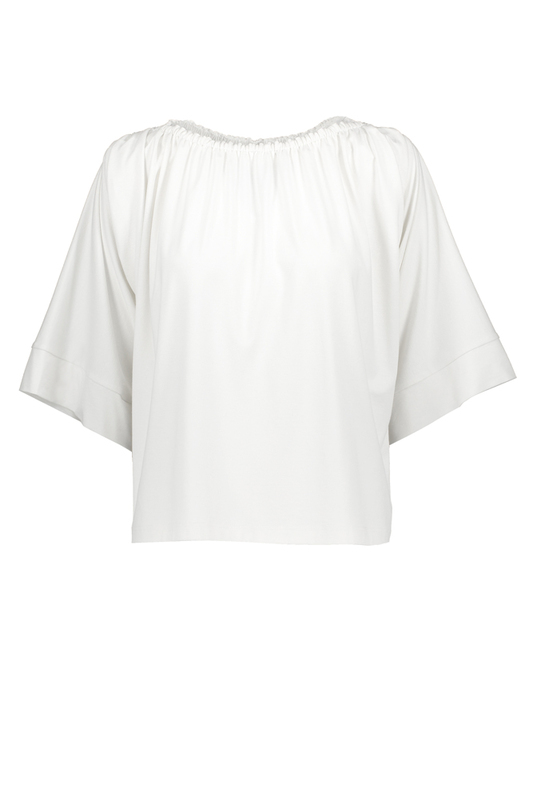 A feminine shirt with a beautifully draped neckline, easy to mix and match for different outfits. Designed in Finland, manufactured in Estonia. Fabric made in Turkey. Fabric composition: 94% viscose/ 6% elastane.